Although this was the first year that American authors were included for consideration to win the Man Booker Prize for Fiction, last night the judges made damn sure no 'Murican won selected an Australian novel as the winner. The judges pick their winner on the same day the award is presented. Consequently, over the past few days, there have been news articles, columnists, and past winners all loudly fretting and worrying that, God forbid, an American might win. Headlines on news articles like "Neel Mukherjee tipped to prevent first American win." Columns warning against "creeping Americanisation," and noting that "on the credit side" having only two of the six shortlisted novels by Americans showed the award has not yet been swamped by "a Yankee takeover." Regurgitations of earlier articles in which past winners of the award criticized the opening of the Man Booker to Americans, and then solemnly intoning the past winners "carry considerable literary weight." These so-called news items were not subtle. They were plainly firing shots across the bow of the judges, warning them against selecting an American winner. Now, I should be clear, I haven't read a single one of the six shortlisted books. I have no opinion whatsoever on the merits of the various contenders. I am not at all suggesting one of the two American authors should have won. I ain't got no idea who shoulda been the winner, yo'. I just think it's interesting how desperate -- and let me emphasize DESPERATE -- a segment of the literary world here is to simultaneously fight against the possibility that Americans might begin to dominate the award and, more importantly, fight to ensure the Brits retain their own wildly disproportionate stranglehold on the nominations and winners. Brits have won 29 of the 46 Man Booker prizes, a share that is rather out of scale to their population in relation to their Irish and Commonwealth brethren from India, Australia, Canada, South Africa, New Zealand, and Nigeria, among others. I'm not going to go back to count all the nominations, but the disproportionate number of Brits in nominations is even more stark. 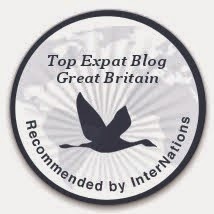 It's hard enough for some literary Brits to stomach that their colonists have won 17 of the awards. They don't want the Americans to start siphoning away nominations and winners, too. In the small world of literary fiction, nominations and winners are very, very important for business. For the psyche, and national pride, and personal proclivities, too. But especially for the publishing business. 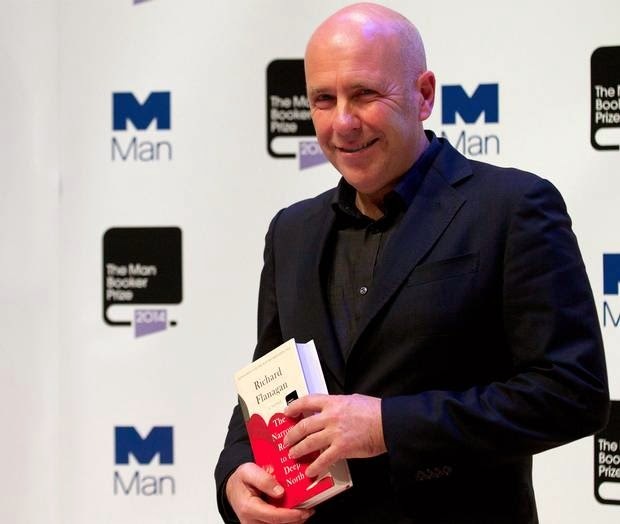 This year's winner was Richard Flanagan, an Australian, for his novel The Narrow Road to the Deep North. Both a war story and a love story, the novel is set during World War II and focuses on Japanese captors and their Allied prisoners of war who built the "Death Railway" between Burma and Thailand. As the chair of the judges put it: "The best and worst of judging books is when you come across one that kicks you so hard in the stomach like this that you can't pick up the next one in the pile for a couple of days. That's what happened in the case of this book." Everything I have read about the novel is full of high praise. I'll try to set aside my 'Murican parochialism (wink wink) and go buy a copy. I'm looking forward to reading it.